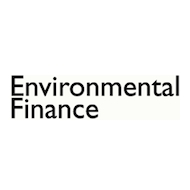 Environmental Finance is still the only independent global magazine offering comprehensive coverage of the financial impact of environmental issues on the business community. Leading industry specialists and an award-winning team of experienced journalists provide timely and incisive news and analysis on a broad range of environmental issues including renewable energy finance, emissions markets, "green" investments and weather risk management. Rare Earth Shortages - A Ticking Timebomb for Renewables?